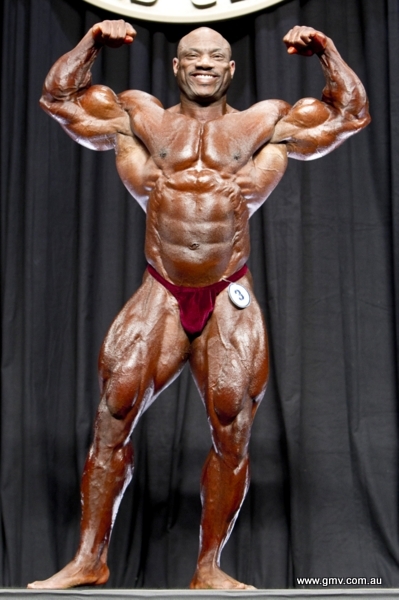 Congratulations to the winner Dexter Jackson (pictured below) who also won the Arnold Classic in 2005, 2006 and 2008. He has now tied the record of 4 victories by Flex Wheeler who won this event in 1993, 1997, 1998 and 2000. See bottom of this page for a PHOTO of the titanic battle between JACKSON and PAKULSKI. This year we are offering a massive DVD of over FOUR HOURS from the Prejudging and Finals of the Arnold Classic Women's Events. This disc contains the complete coverage of all rounds from the 4 WOMEN'S CONTESTS, plus awards presentations from each of these contests, featuring the IFBB’s top professional female athletes. The 4 International winners were: Ms. International: Iris Kyle Fitness International: Tanji Johnson Figure International: Candice Keene Bikini International: India Paulino. 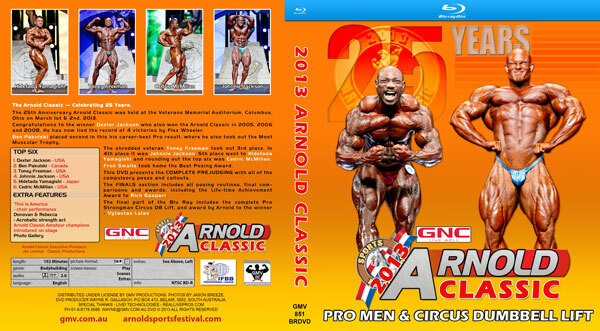 For a list of all available Arnold Classic DVDs, and Past Winners, please click here. *All customers outside of Australia/New Zealand will be charged in US dollars. If the item has dual pricing (that is in Australian and US dollars), all customers outside of Australia and New Zealand will only be charged the US dollar price.